If you want seedlings that not only grow, but absolutely thrive, this easy mix is for you. The problem with most pre-mixed bags of seed starting medium is that they are peat based (not the best option if you're concerned about the environment) and contain little, if any, nutrition for your growing seedlings. Traditional wisdom says to transplant your seedlings as soon as their first true leaves appear, but who wants to keep messing with seedlings, transplanting more than you have to? Forget it. 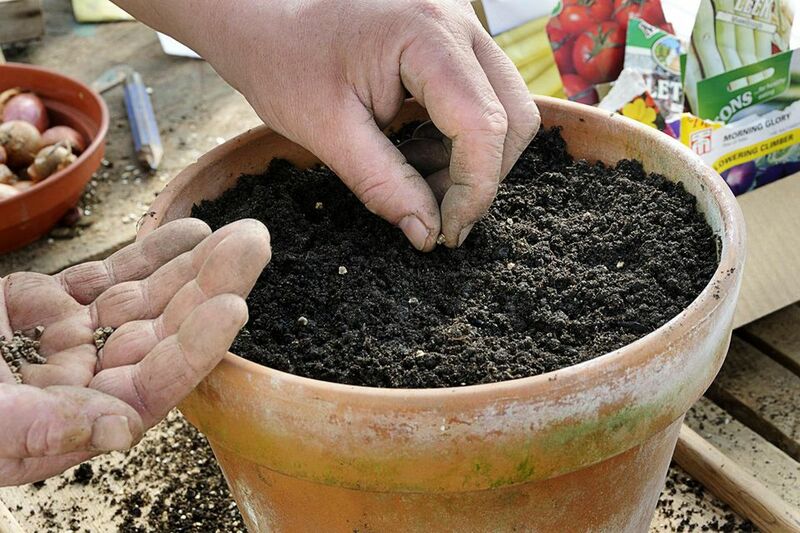 This soil-less mix contains everything you need to not only get your seedlings off on a good start but also to keep them growing strong and sturdy. Mix the first three ingredients together, then sprinkle the greensand into the mix and combine. This ensures that the greensand is evenly distributed throughout the mix. What Makes This Mix So Great? Vermicompost provides excellent nutrition for your growing seedlings, which they'll need once they have their first true set of leaves. The seed has everything it needs to germinate and send up a stem and cotyledons, but after that point, it will require outside nutrition to keep the seedling growing strong. Perlite keeps the mix from getting too dense and provides aeration to the mix. Greensand is an excellent source of potash, which is essential for overall plant health and strong growth. Note: one "part" can be anything you want. A cup, a bucket, a shovelful, whatever. The point is to keep the proportions fairly close to the recipe.